A sealer and top-coat is applied to protect the wood with a neutral, soft sheen and allow the beauty of real wood to shine through in all its glory. A popular option for those who love the character and warmth of wood, natural wood finishes will reveal all grain patterns, mineral streaks and color variations, which will deepen and soften over time. With an elegance and simplicity that lends itself to a wide variety of different woods and cabinetry styles, a natural finish is ideal for kitchens emphasizing a clean, naturalistic and contemporary look. 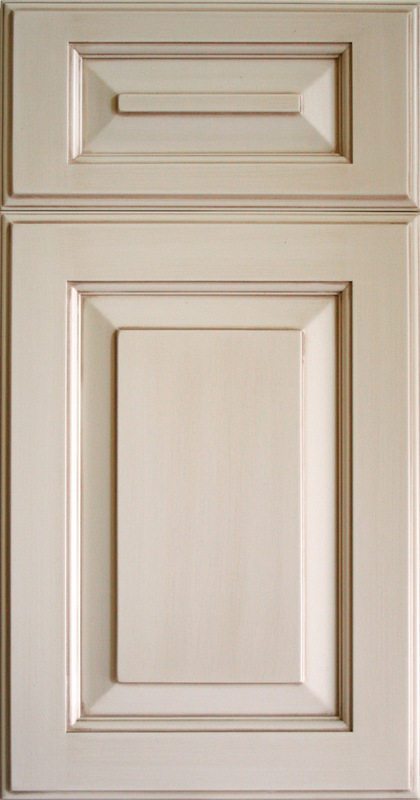 Our skilled finishers use a 10-step process that includes multiple coats of heavily pigmented paints to produce a dense, continuous finish on our painted cabinetry. The natural variations and features of different wood types are less noticeable when a painted finish is applied, resulting in a streamlined, clean effect that still maintains the high quality and warmth of finely-crafted wooden cabinetry. 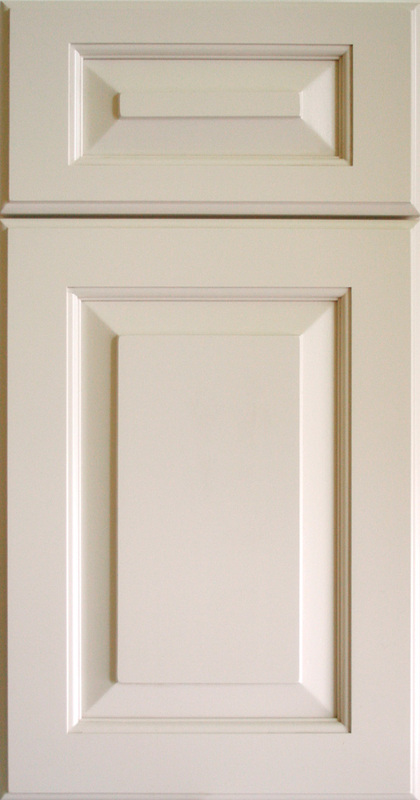 Because wood is a natural material that expands and contracts due to changes in moisture and humidity, small cracks may appear in the joints of painted cabinets. This is a normal occurrence and will not affect the functionality of the finished product. 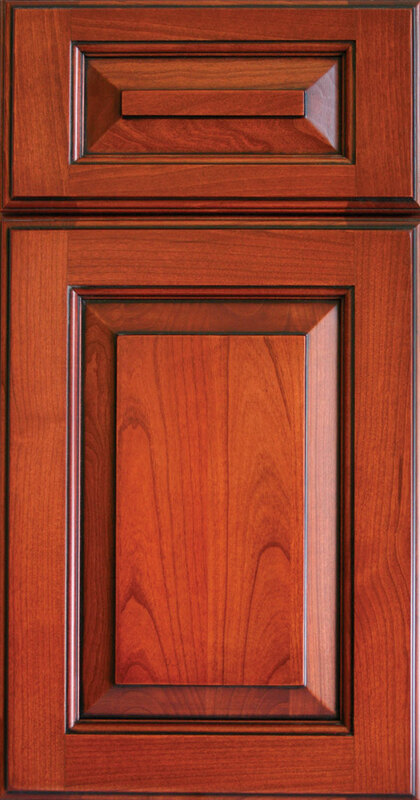 Cracks on doors with construction joints will be less noticeable. In order to maintain the natural beauty of wood, a 10-step process is used, in which stains are applied and then hand-rubbed for deeper coverage and a unique finish. This labour-intensive, artisanal approach enhances natural features such as mineral streaks and knots. Lighter stains will accentuate features, while darker stains create a more subtle effect. End grains and veneers absorb a greater amount of stain than other parts of a panel, which can result in color variations. Glaze finishes require an intensive 13-step process that involves hand applications of paint followed by a glaze coating applied by a finishing expert. Doors and drawers are prepped for glazing by going through the paint process. The pieces are hand scuffed to be ready for the glaze that will be flooded onto them. The glaze is hand wiped from the piece in order to provide depth as well as additional highlights. The hand wiping technique is used in raised section of the panels in order to emphasize the wood’s grain and natural beauty. Our glazes are available in strengths ranging from light espresso to a deep soapstone. The glaze coating will soften the original base color of the cabinets, while highlights create the effect of greater depth. Glaze finishes are available on all paints. 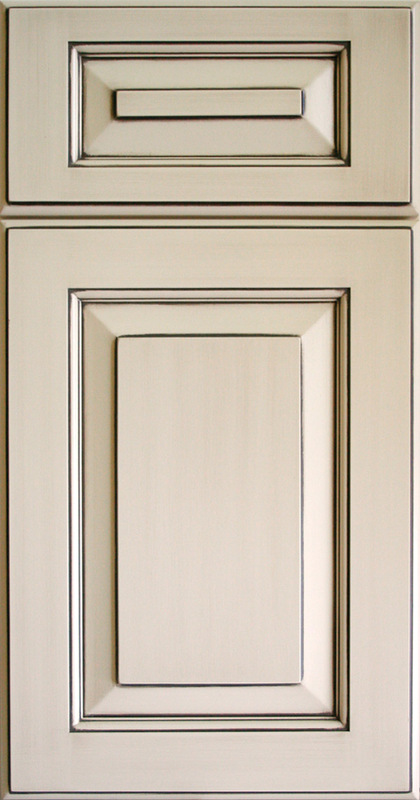 Accent finishing is a detailed, 14-step artistic process that is customized for each individual piece within a kitchen. Stain is hand-rubbed into the wood, and then a highlight glaze is applied to add depth without significantly altering the look of the base stain. 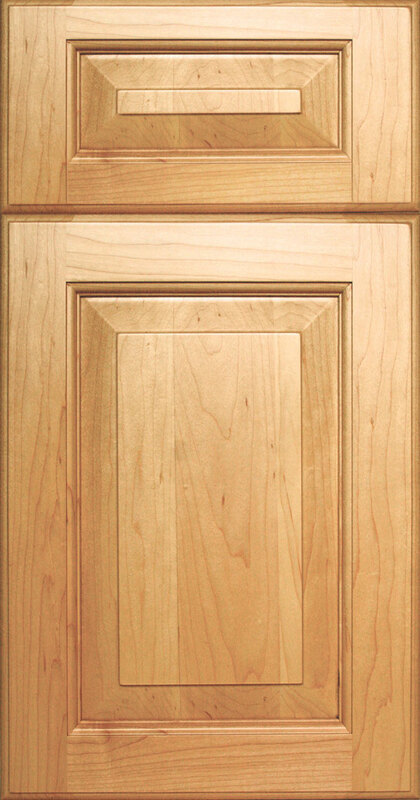 Accent finishing is available in our maple, oak, pine and cherry finishes. Accented glaze is, a 14-step process that produces a timeless effect that transforms new cabinets into heirloom pieces. Unfinished doors and drawers go through the same process as for painted finish. They are then flooded with glaze, and, the glaze is hand-wiped from the piece. After drying. Another light glaze is sprayed on to provide depth as well as additional highlight. The piece is then hand wiped one last time to increase the depth and dimension of each piece. Our finish specialists ensure that while there are variations in the pieces, the overall effect is a cohesive and artisanal design. The techniques used in this process create an effect of old world craftsmanship, as no two doors look exactly alike. 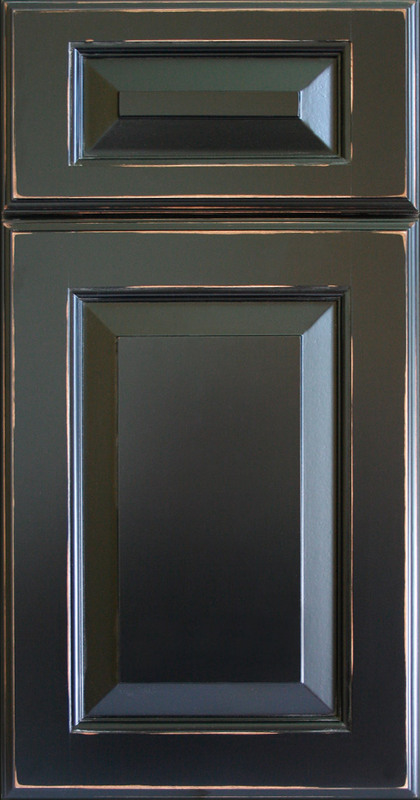 Our accent glazed finishes are available on all paints. The application of a rub-through finish is a labour-intensive 15-step process that provides the appearance of an artisanal piece. A stain is applied to the wood for the base colour, followed by a multistep process to seal and protect the color and wood. A high solid primer is applied to complete the colour of the piece and then it is manually distressed by random sanding after which the piece is then top-coated again. 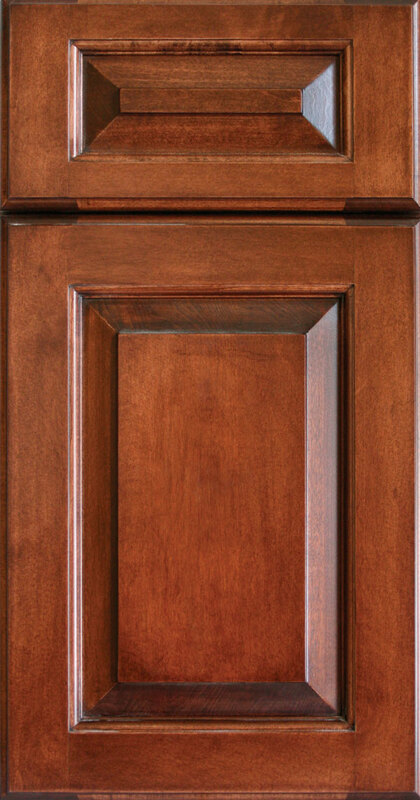 Because wood is a natural material sensitive to changes in moisture and humidity, small cracks may appear in the joints of painted cabinets. This is a normal occurrence and will not affect the functionality of the finished product.